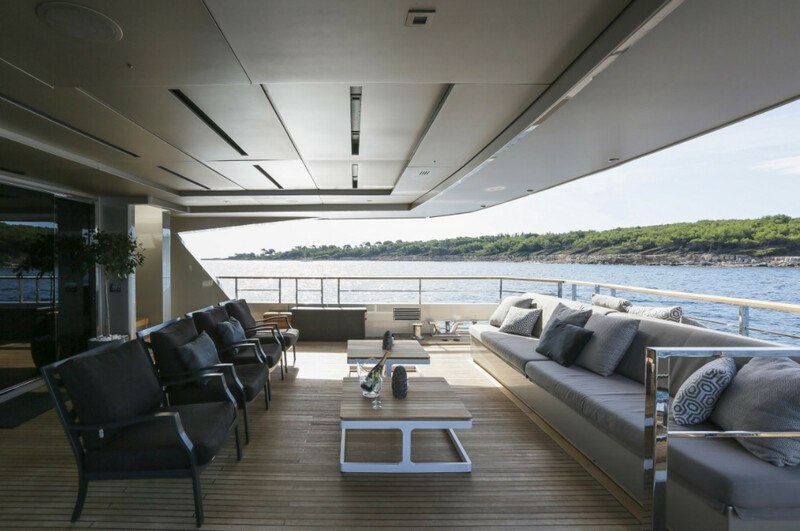 Boasting both the title of the largest interior volume of any 40-metre yacht and the quietest motor yacht in the world on her delivery in 2013, superyacht GIRAUD is a truly head turning yacht. 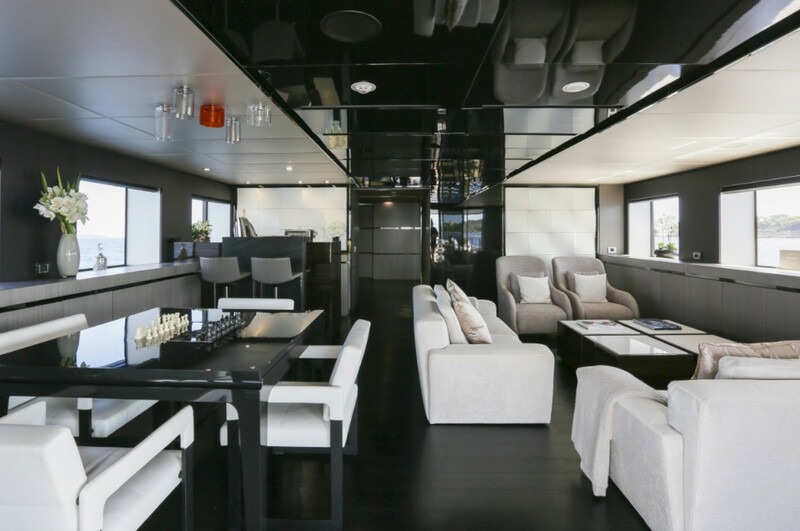 With sleek lines and a contemporary interior styling, this super tri-deck. 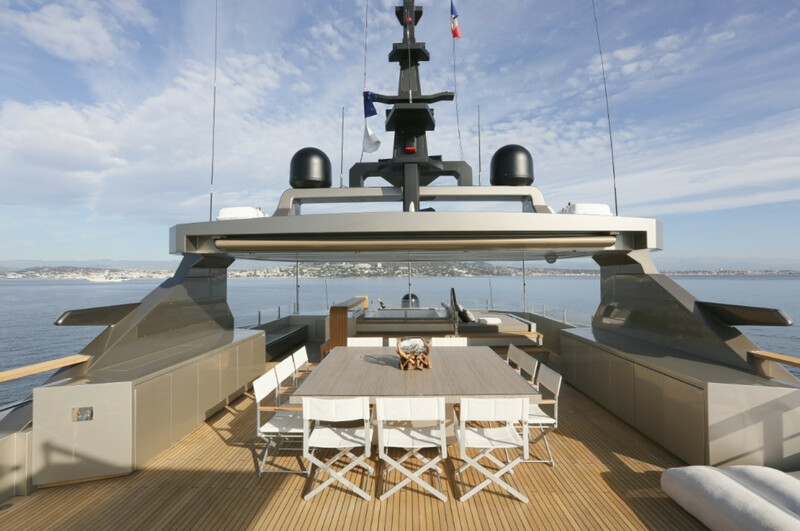 Her striking and innovative exterior lines were designed by renowned naval architect Luca Dini. 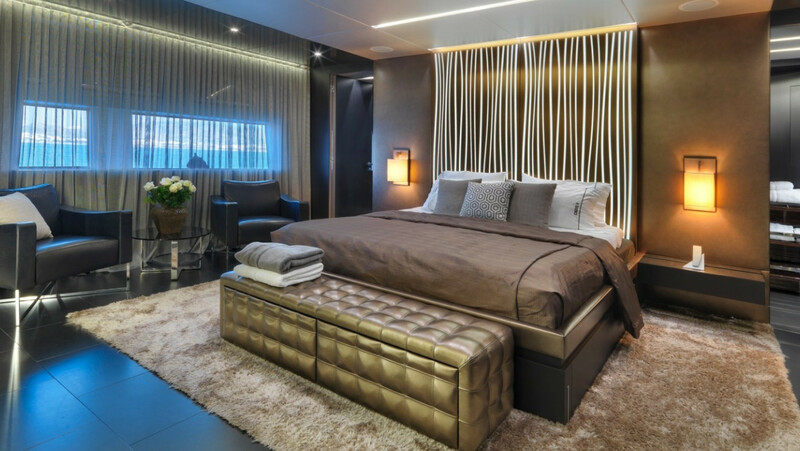 She is an extremely silent yacht and has the best noise and vibration levels ever achieved in RINA Comfort. 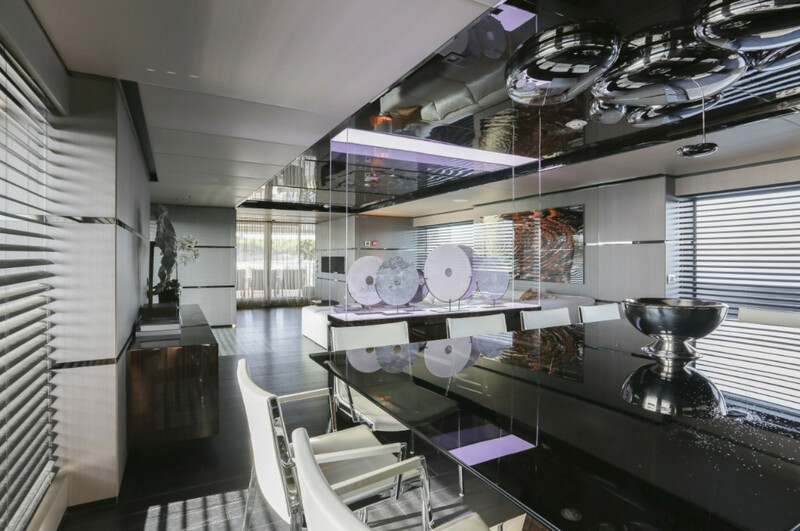 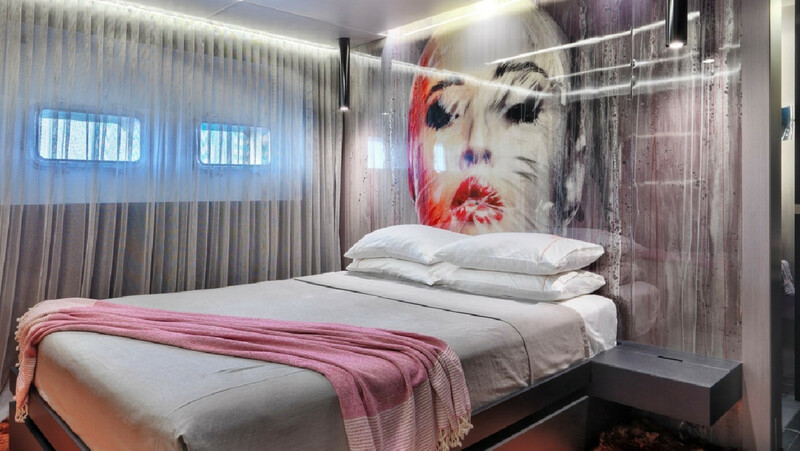 Multi-award-winning vessel (ShowBoats Design Awards, category exterior design and styling award 2014. 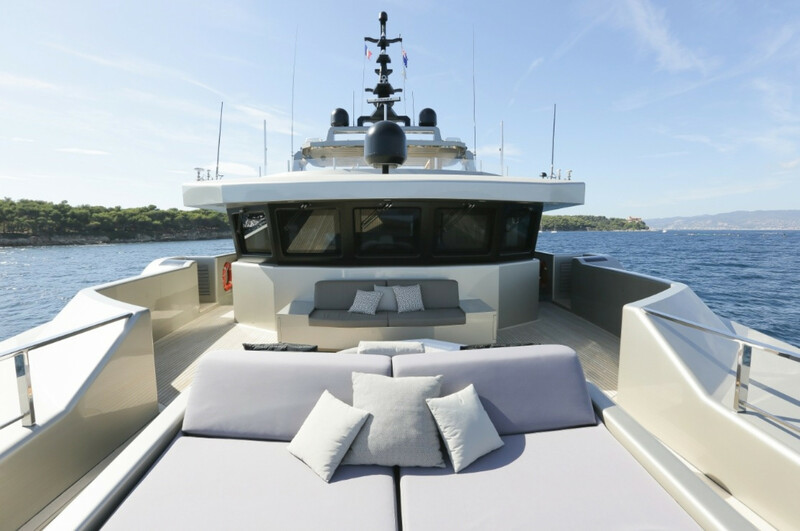 The World Syperyacht Awards, category three deck semi-displacement or planing 2014 and the International Yacht & Aviation Awards, category poweryacht over 30m 2014) she offers the ultimate option for your summer holiday. 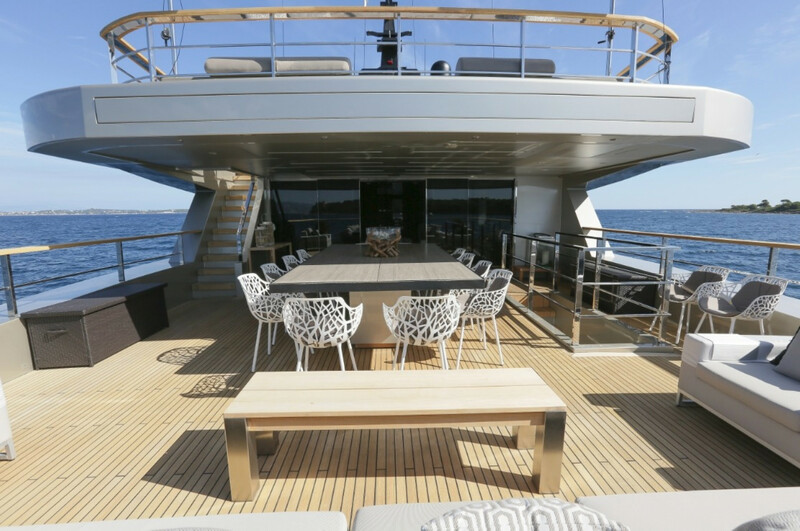 - Al fresco dining for up to 14 people on the upper deck.